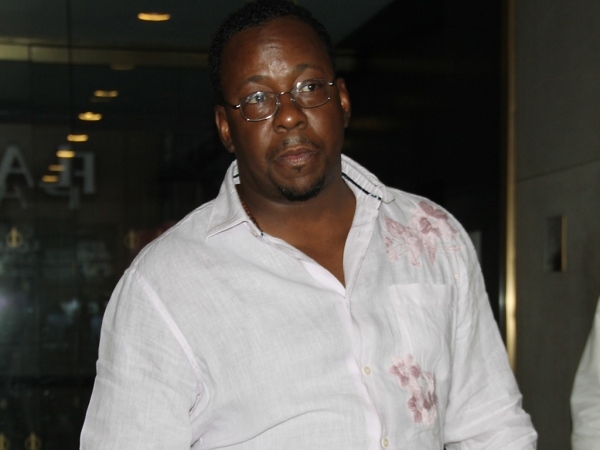 Bobby Brown reportedly rushed back to Atlanta to be with his daughter Bobbi Kristina. The 46-year-old My Prerogative singer has been by his child’s side since she was hospitalised on January 31 after being found unresponsive in the bathtub of her Roswell, Georgia home. Bobby was contractually obligated to perform at the Soul Food Festival in Los Angeles on Saturday and this was the first time he left Bobbi Kristina’s bedside since she was admitted to hospital in Atlanta. And according to People magazine, the patriarch hopped on a flight from Los Angeles to Atlanta immediately after he wrapped up his show at the Soul Food Festival. It’s claimed he was eager to return to his brood and join in with their ongoing vigil for Bobbi Kristina, who remains unconscious. Some reports suggest she is comatose and on life support. Bobby was flush with emotion while performing at the Soul Food Festival. He spoke to the crowd of the pain he’s facing as his daughter fights for her life. "I wanna thank all of y'all for coming out tonight, for supporting me and my family," he told the crowd after singing his opening song. "Rough times are rough times. Hard times are hard times. I don't know what the hell I'm going through right now, but I'm giving it to God." Bobby shares Bobbi Kristina with his late ex-wife Whitney Houston, who was pronounced dead after she was found submerged in her hotel bathtub in February 2012.